Need a blog theme with a minimalist approach to design? Check out, Blog Lover. 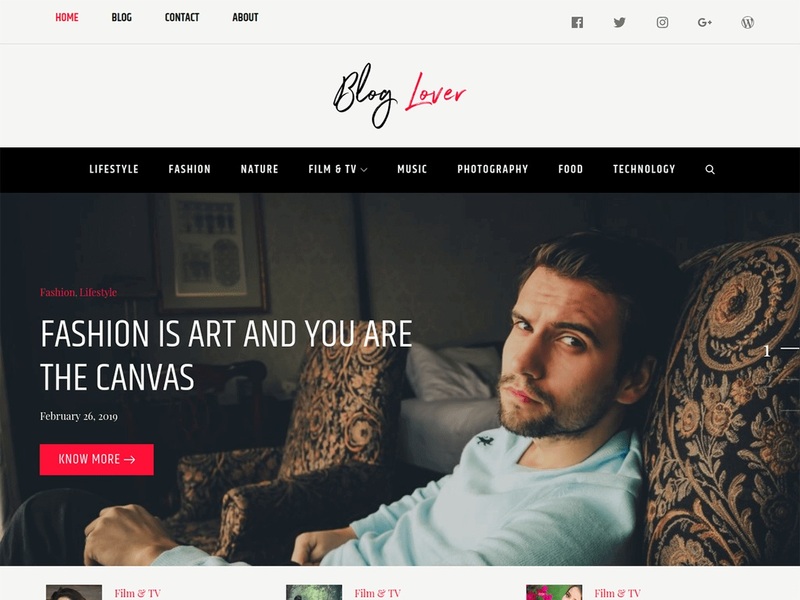 Blog Lover is a simple WordPress blog theme with multiple menus and it comes in one, two and three column layouts. Blog Love Pro allows you to easily customize colors and layout options. Blog Lover includes features such as a slider area, video, Instagram, fully responsive design. It is quick and easy to set up and looks great on all devices and screen sizes.